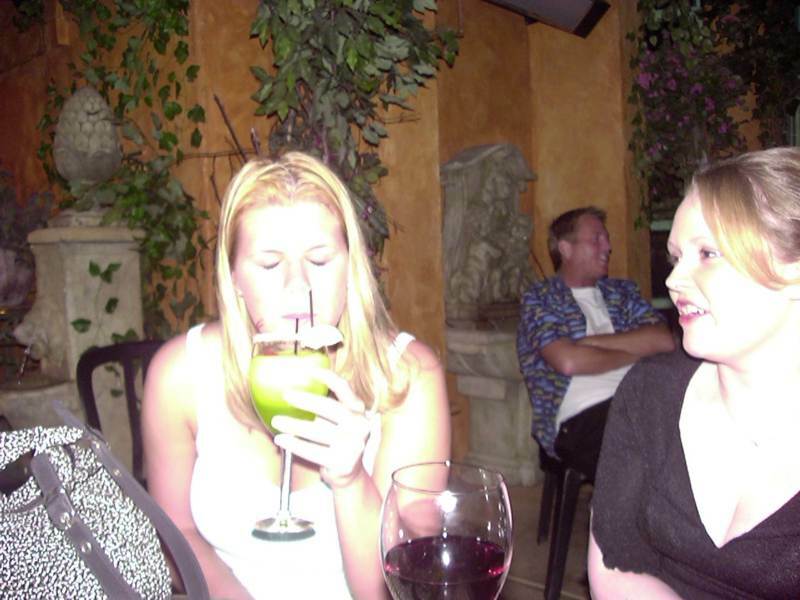 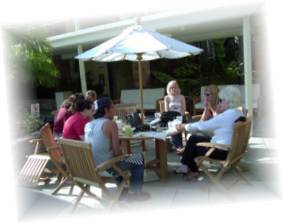 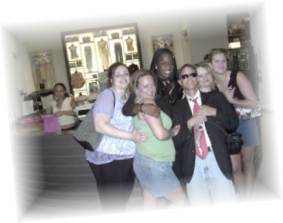 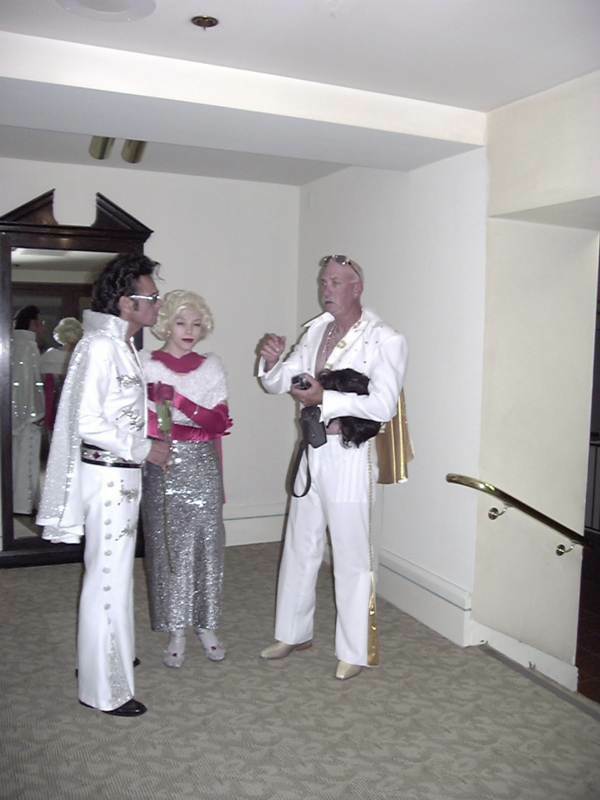 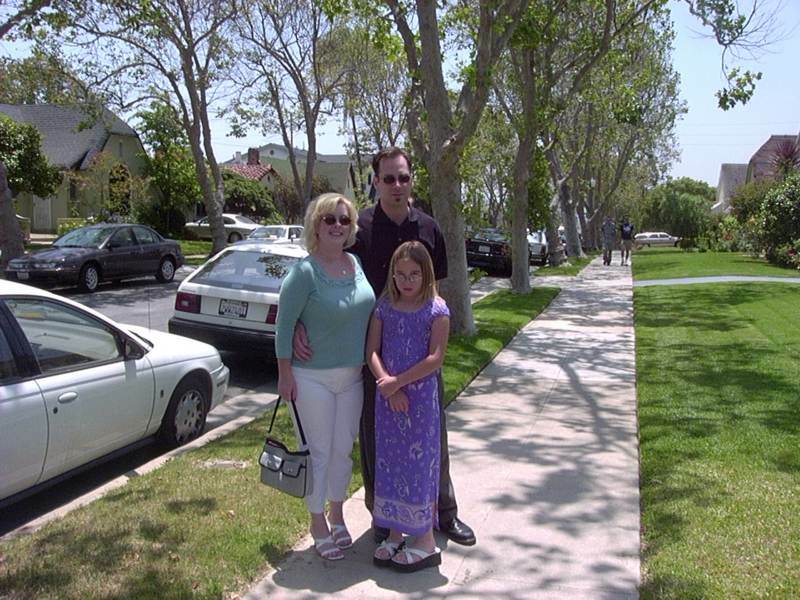 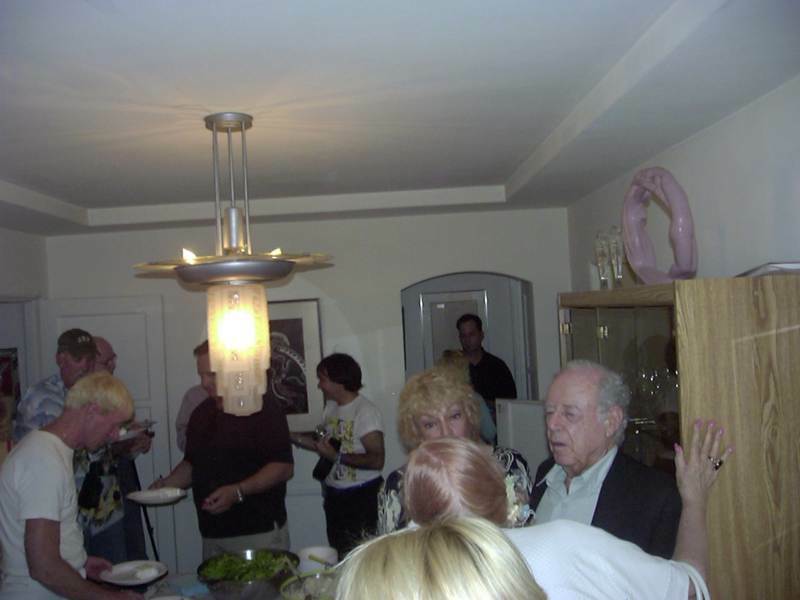 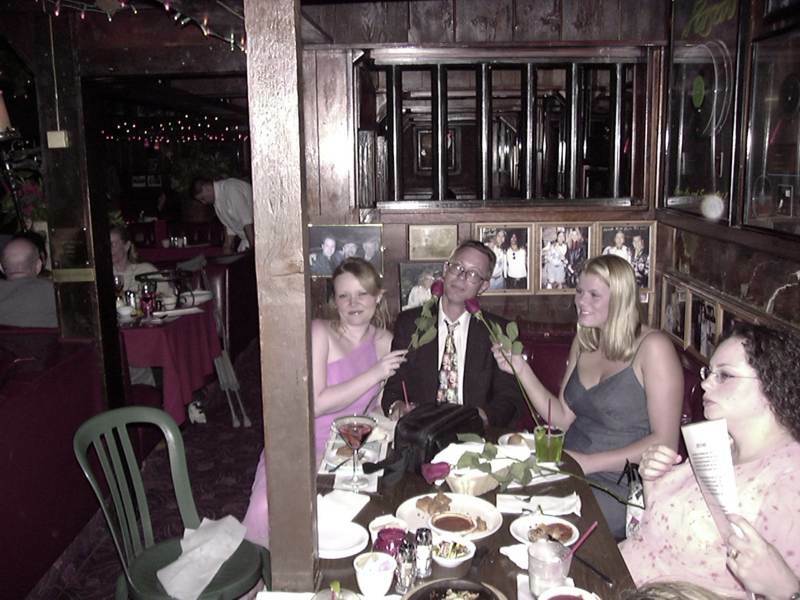 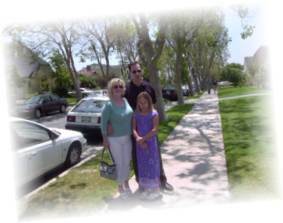 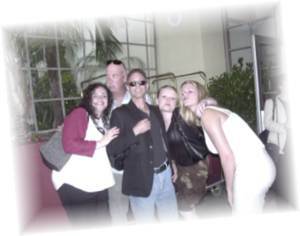 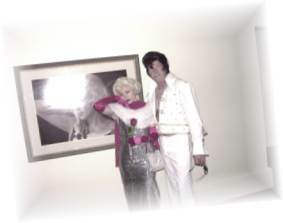 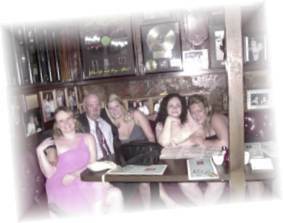 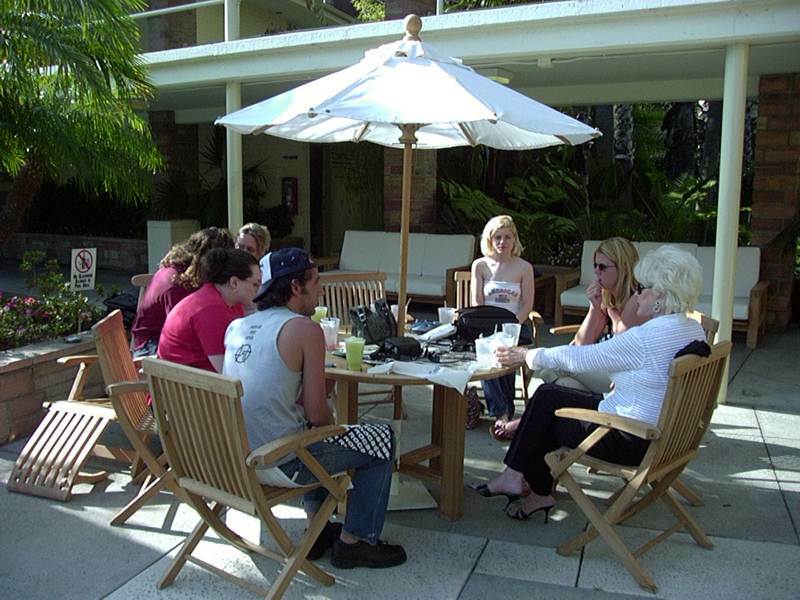 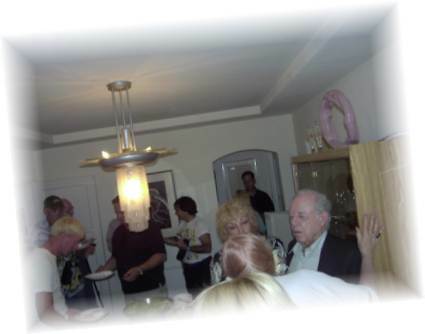 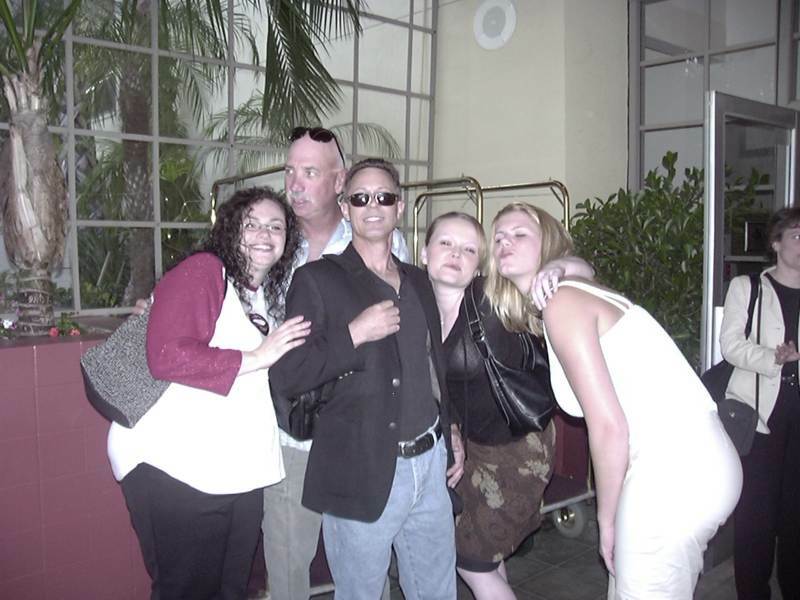 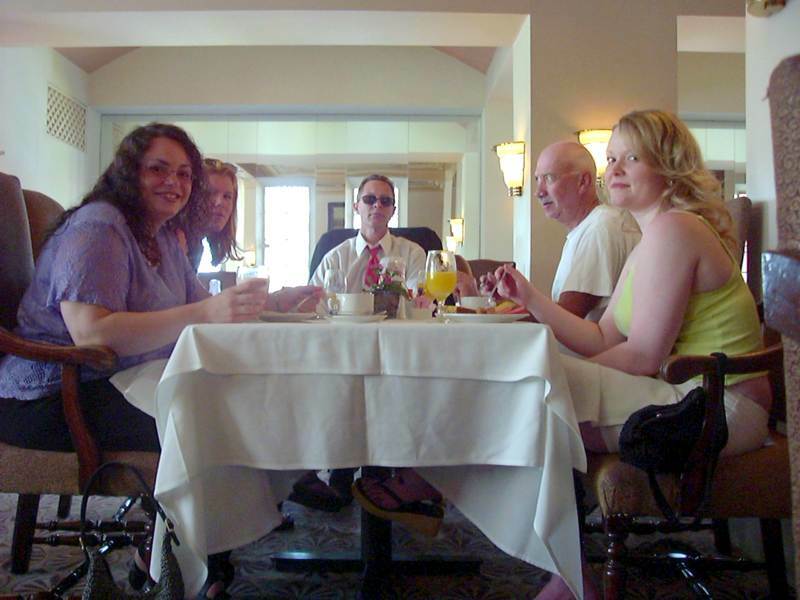 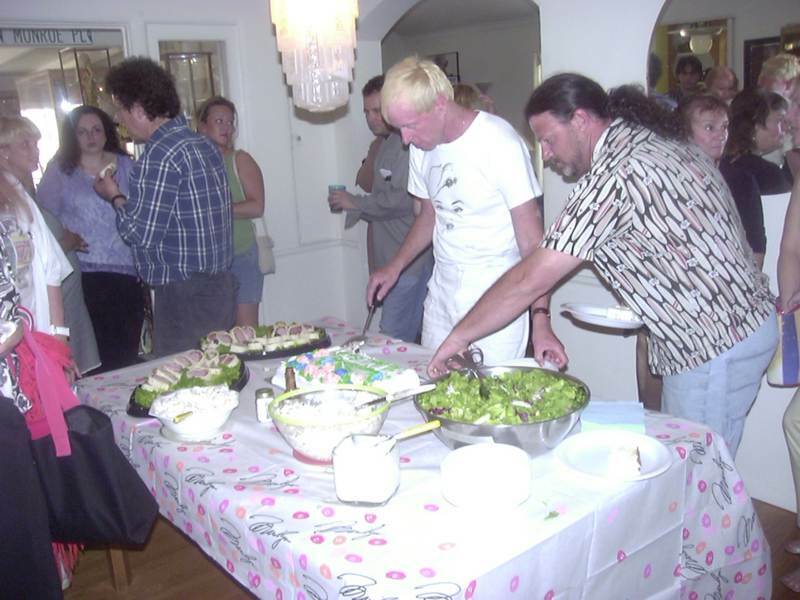 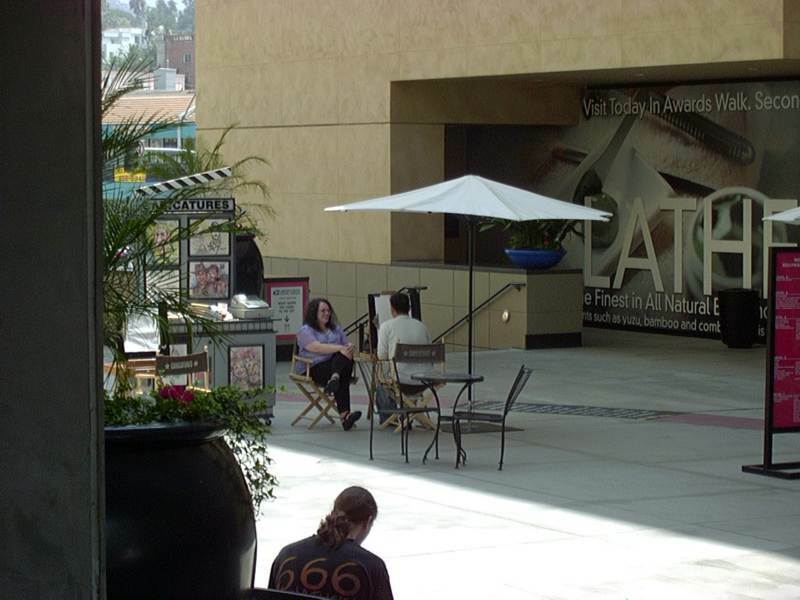 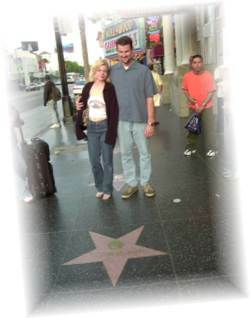 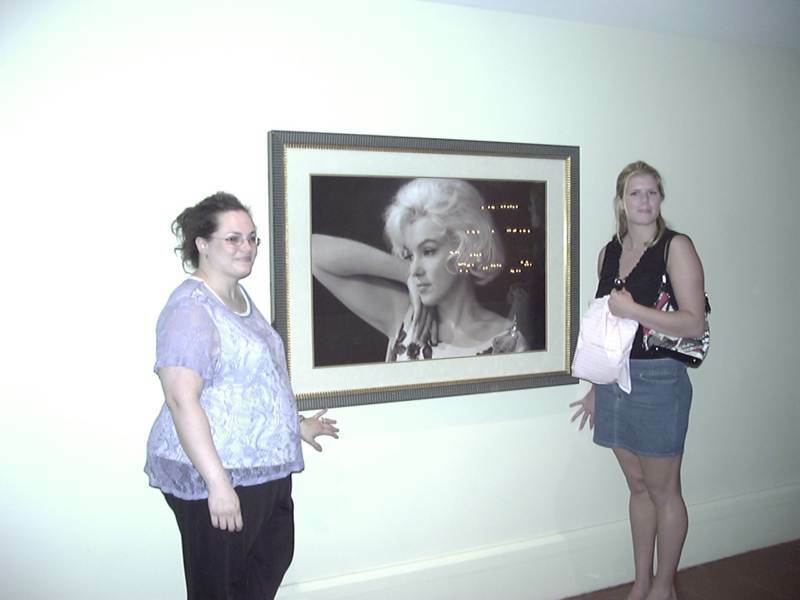 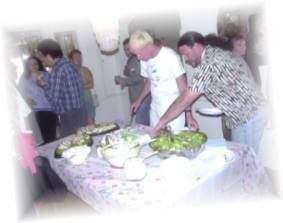 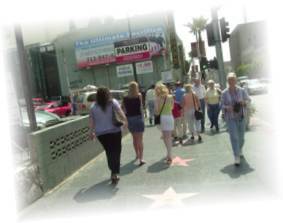 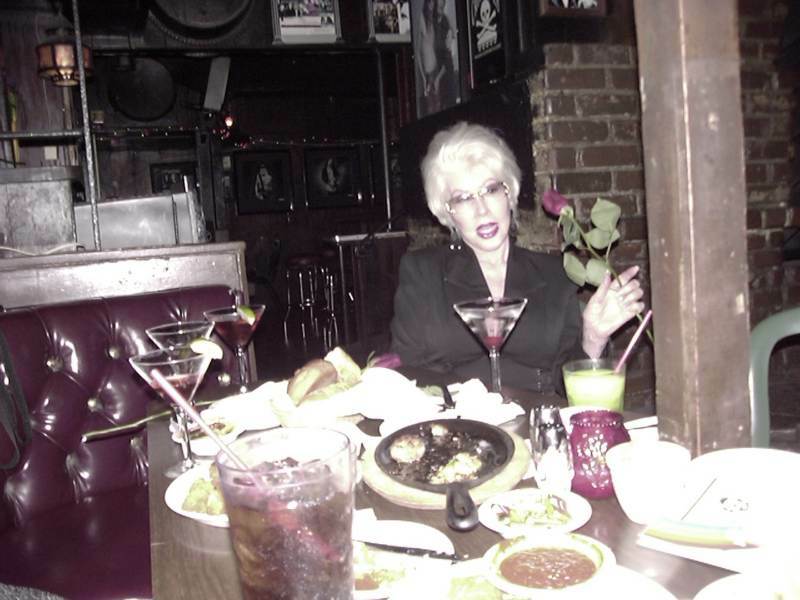 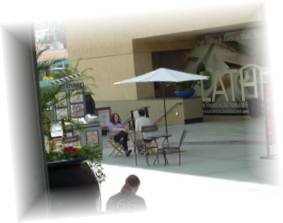 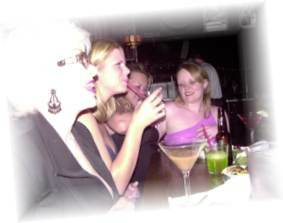 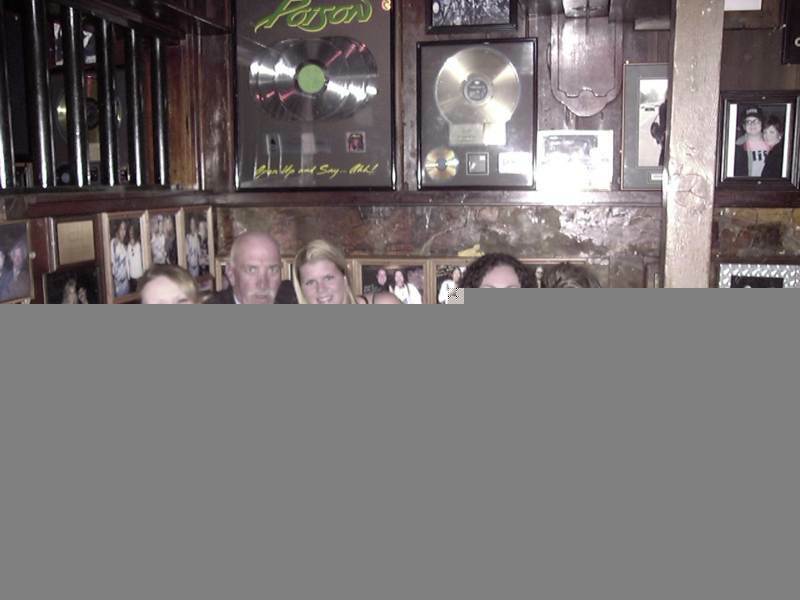 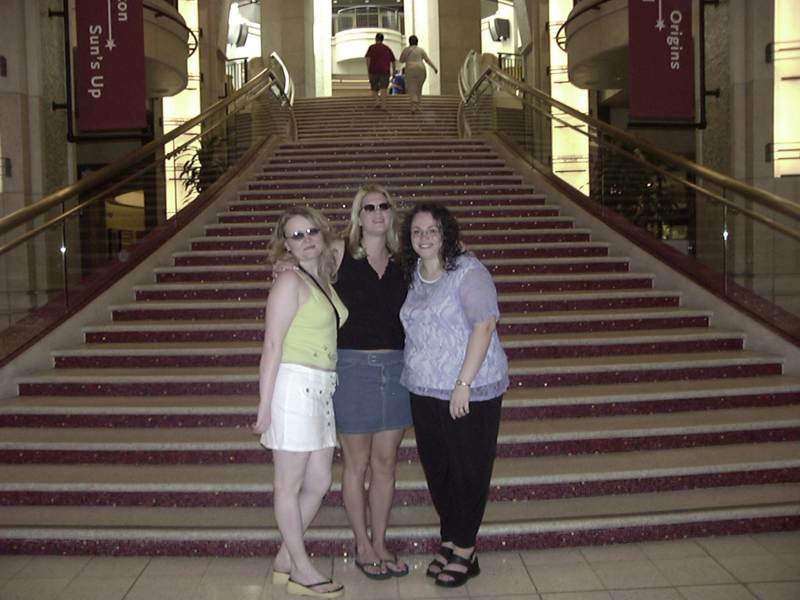 On the weekend of June 1st, 2003, a group of NJ2MM members and Marilyn fans from around the country gathered in LA to celebrate Marilyn’s birthday. 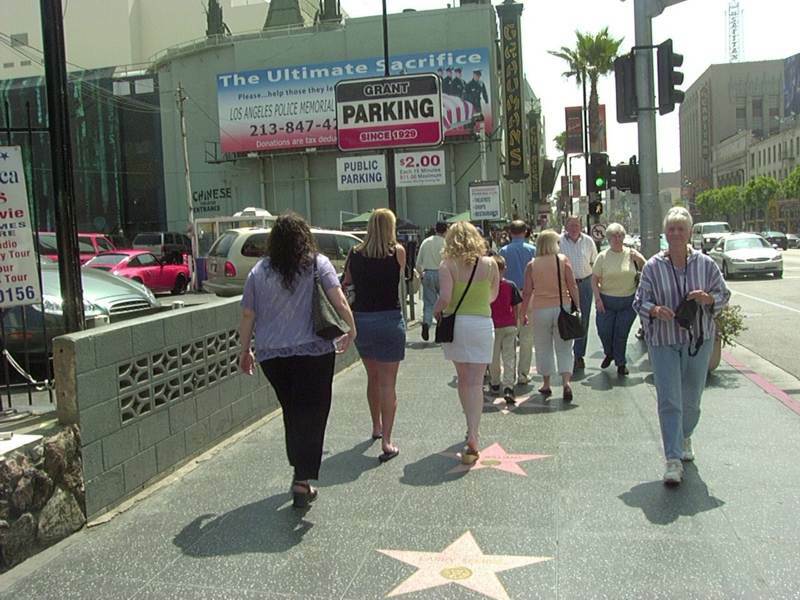 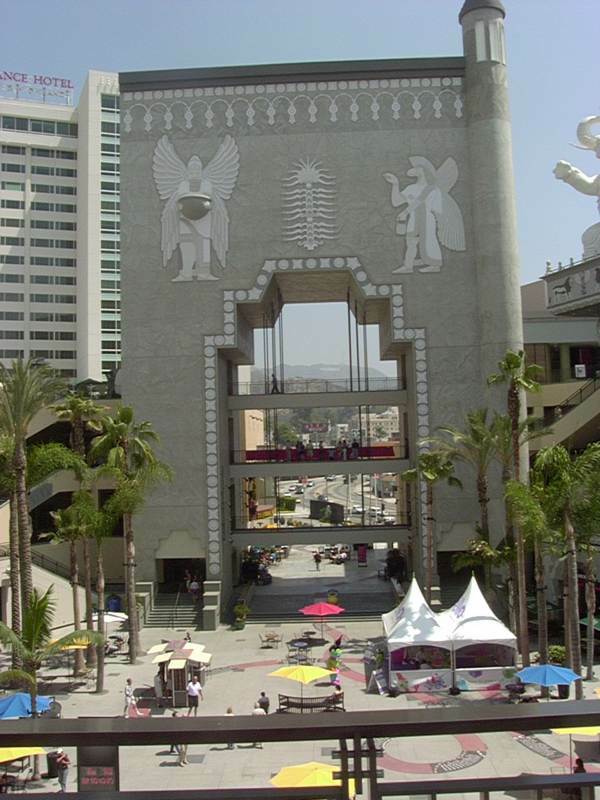 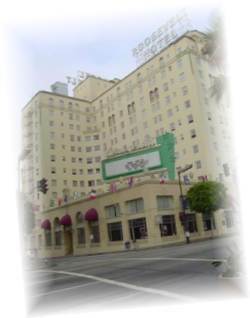 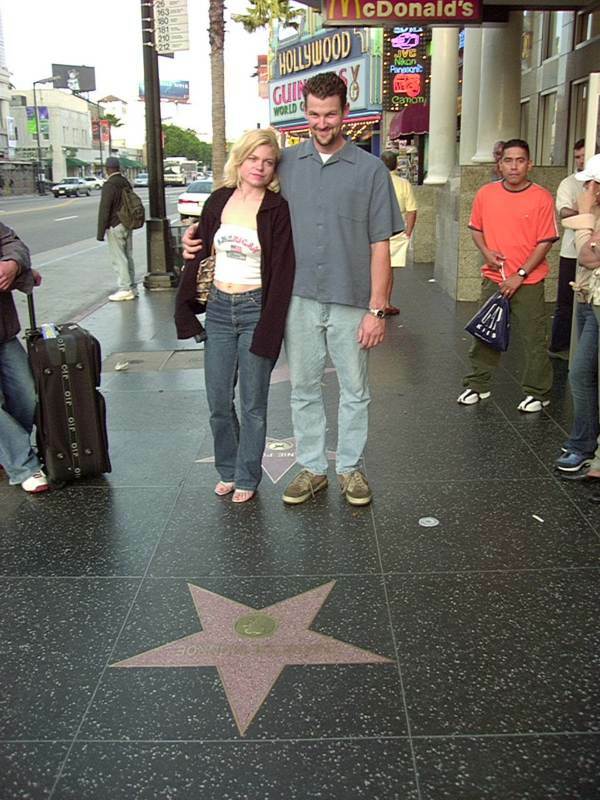 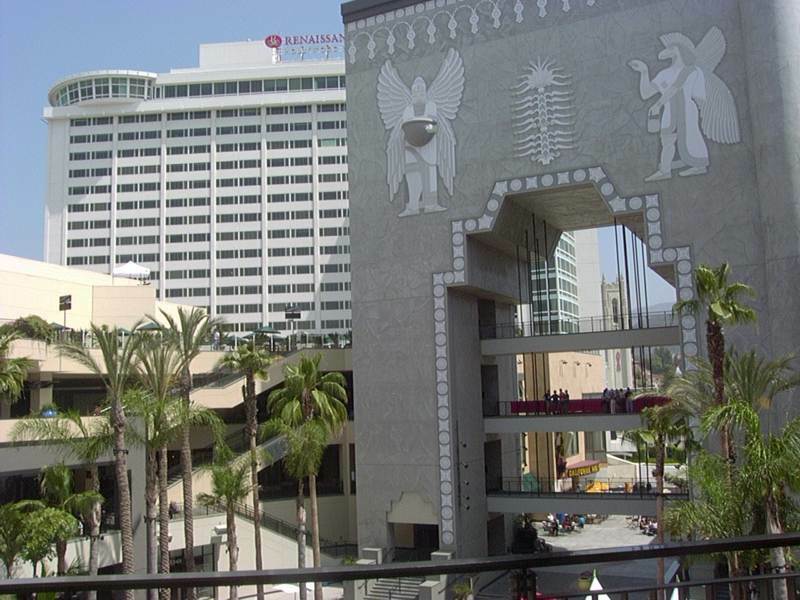 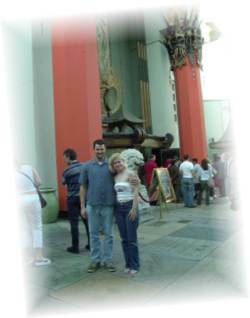 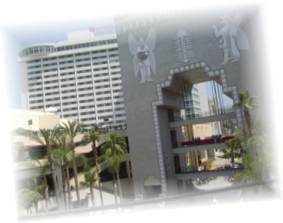 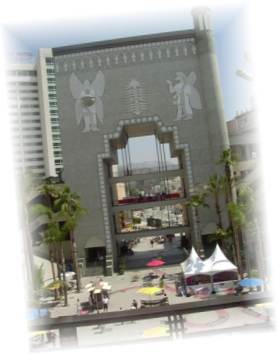 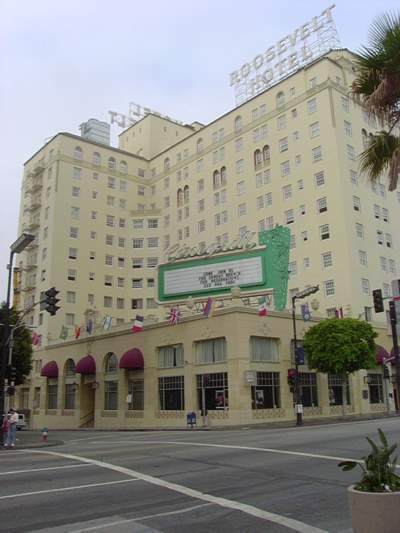 As is our tradition, we stayed at the historic Roosevelt Hotel at the heart of Hollywood Boulevard, right across the street from Graumann’s Chinese Theatre and within walking distance of the Kodak complex (home of the Academy Awards) and all the tourist and souvenir shops. 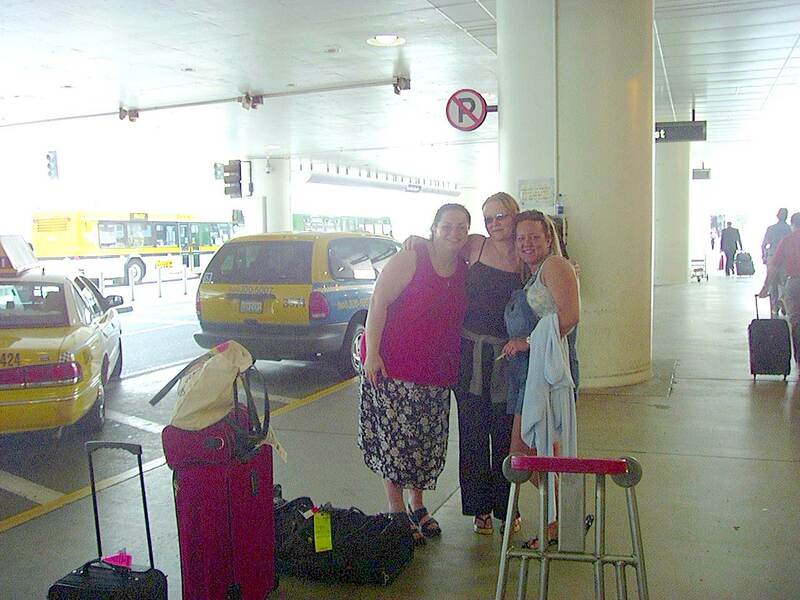 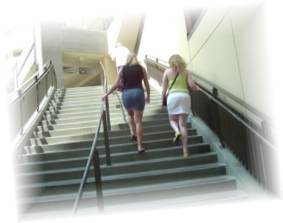 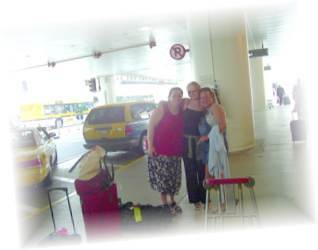 The fun began at LAX airport, where I met up with some of the girls. 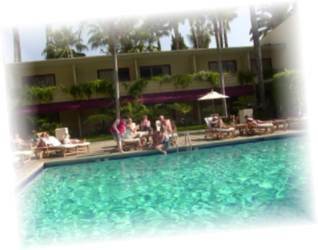 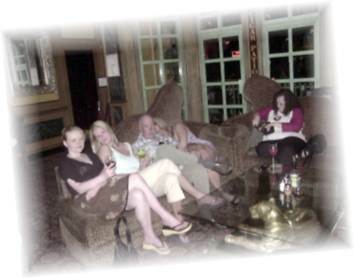 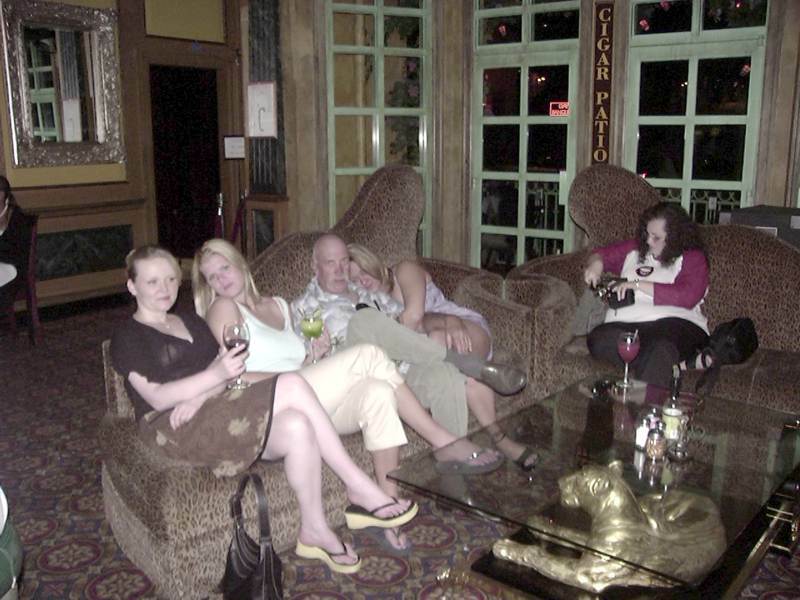 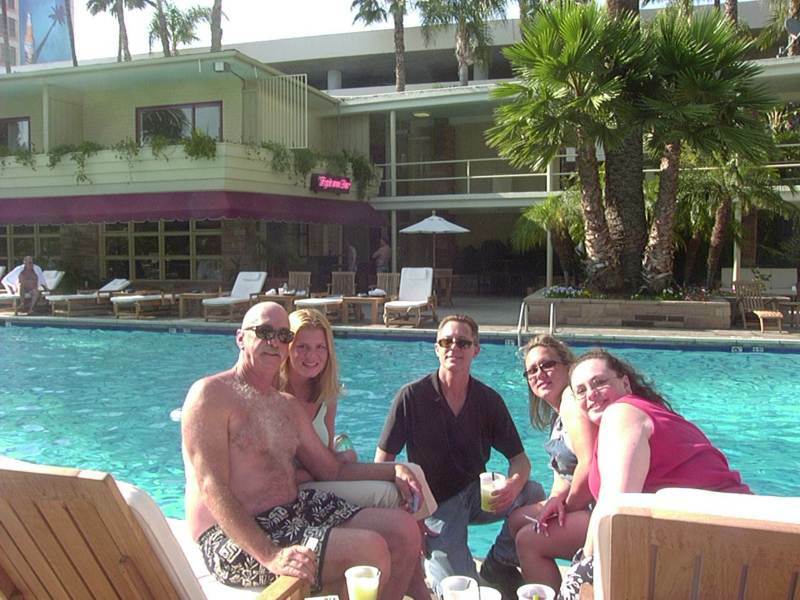 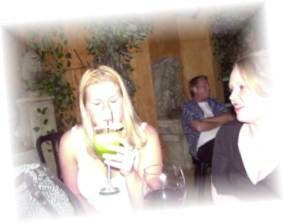 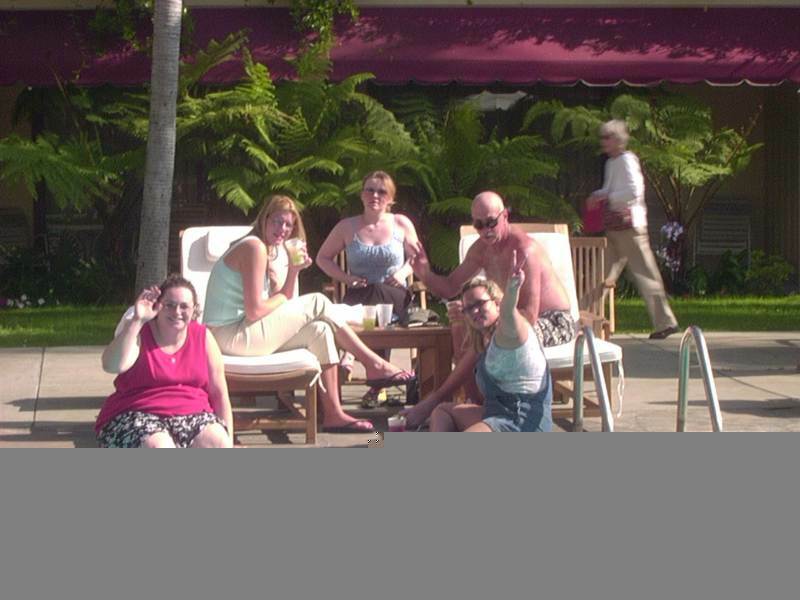 We all piled into a big taxi and headed for the Roosevelt, where we were soon enjoying a drink by the pool. 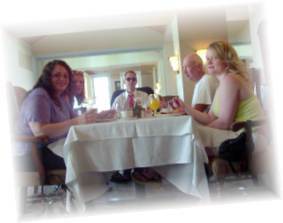  After a few drinks and relaxing in our rooms we got ready to go out for dinner at the Stinking Rose. 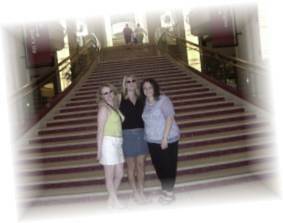 The next morning we had a champagne brunch and then hit the Boulevard for some shopping. 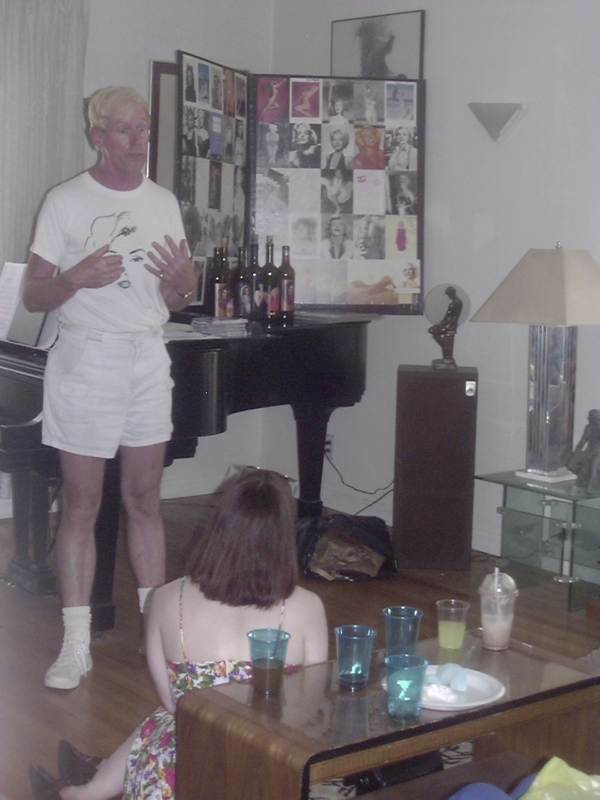 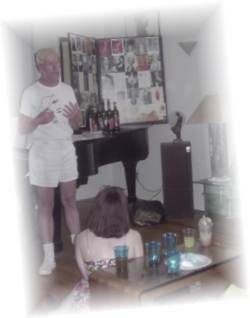 That afternoon we attended the Marilyn Remembered party at Greg Schreiner’s House. 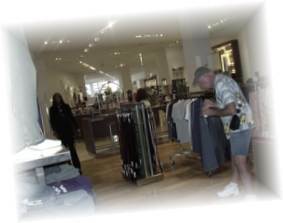 After the party we went shopping again. 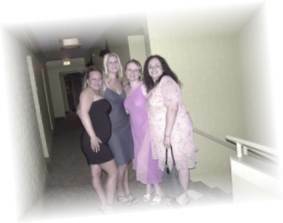 The girls needed to get some things to wear for our dinner party. 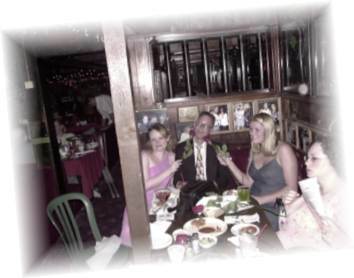 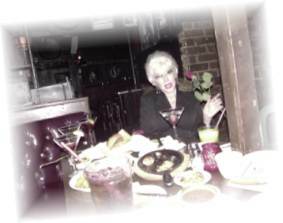 Then it was time for our dinner at the Rainbow Bar & Grille (formerly the Villa Nova) where Marilyn and Joe DiMaggio had their first date. 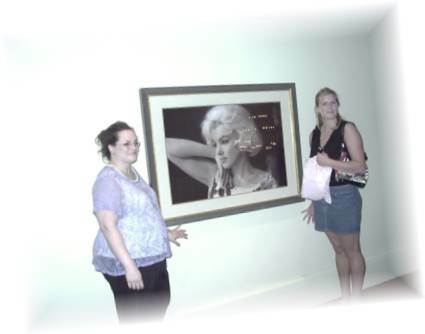 The next day was June 1st, Marilyn’s birthday. 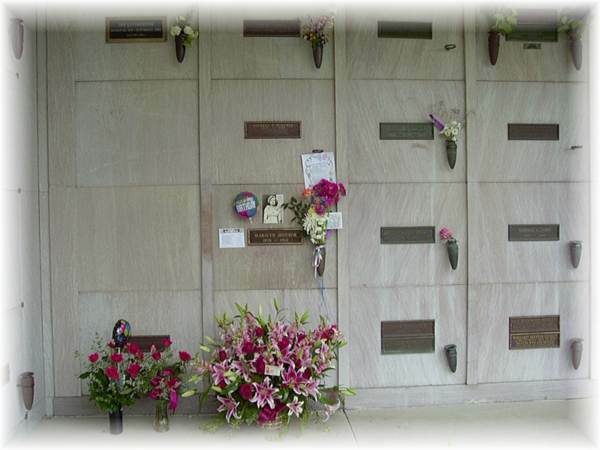 We got up bright and early to pay a visit to her grave at Westwood cemetery. 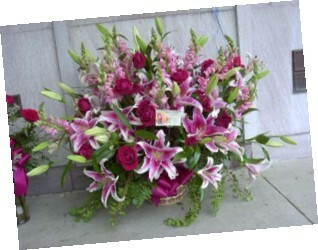 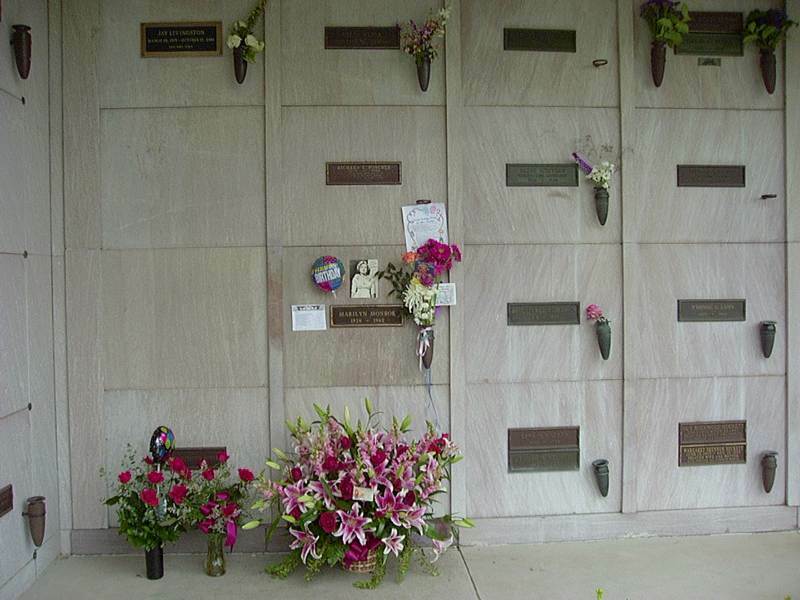 The flowers from Norma2Marilyn are the big ones at the bottom center of the picture. 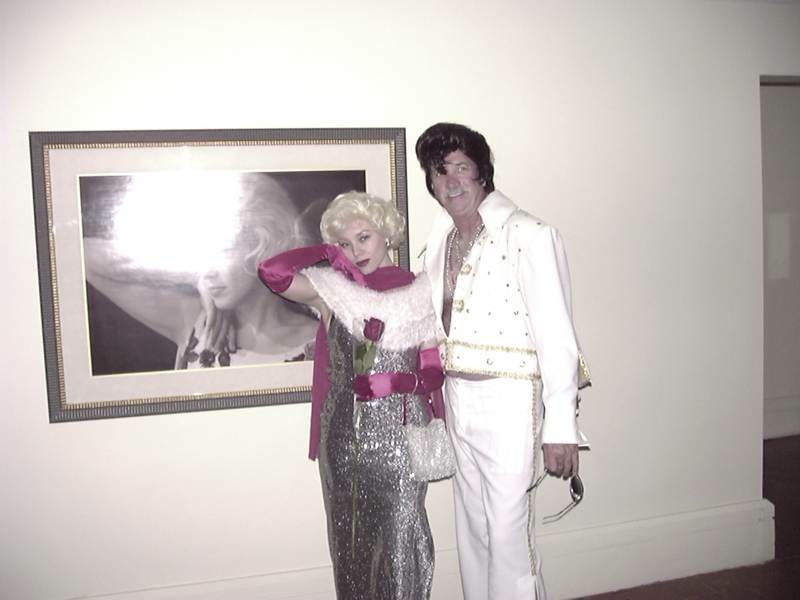 A lot of people had cards and things for Marilyn too. 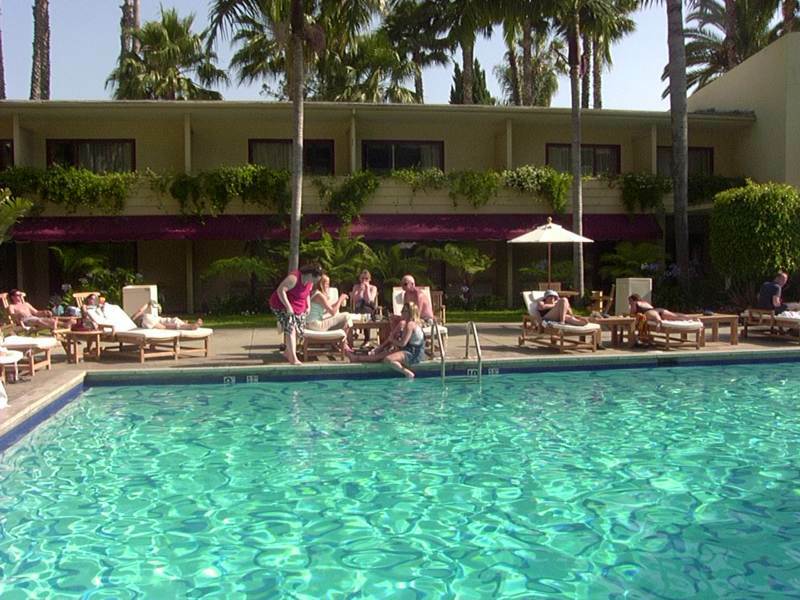 That afternoon we had another party by the Roosevelt pool, and strolled around the Boulevard some more. 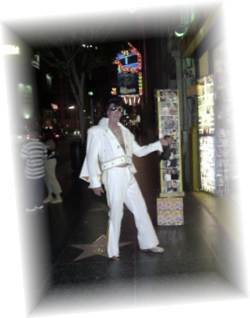 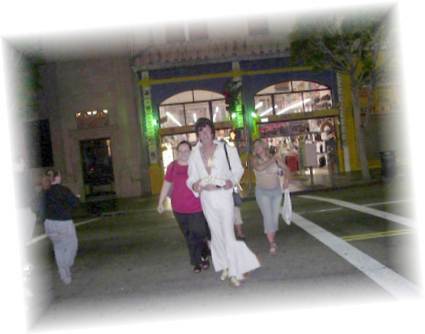 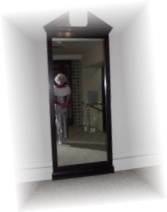 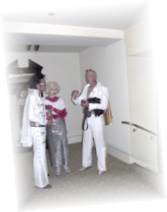 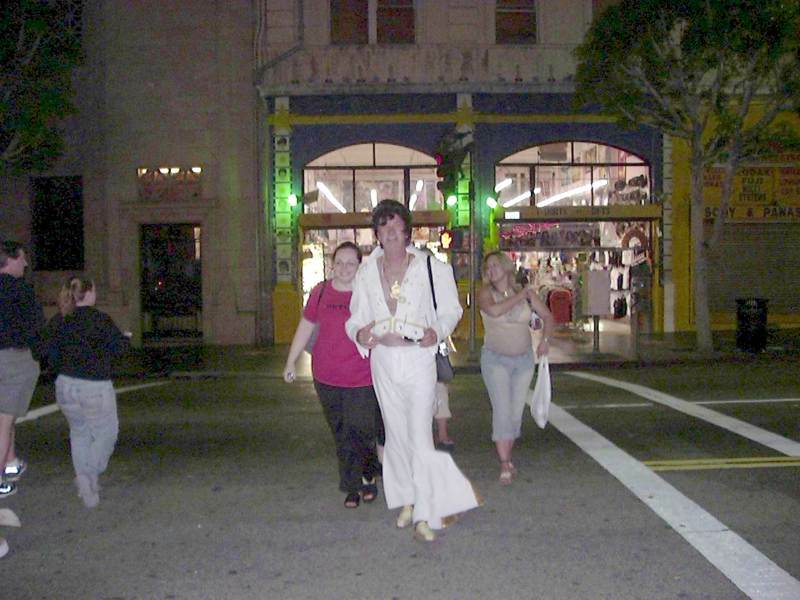 Later in the evening, NJ2MM’s Grand Poo Bah, Big Dave, wore his Elvis costume and off we were down the Boulevard again. 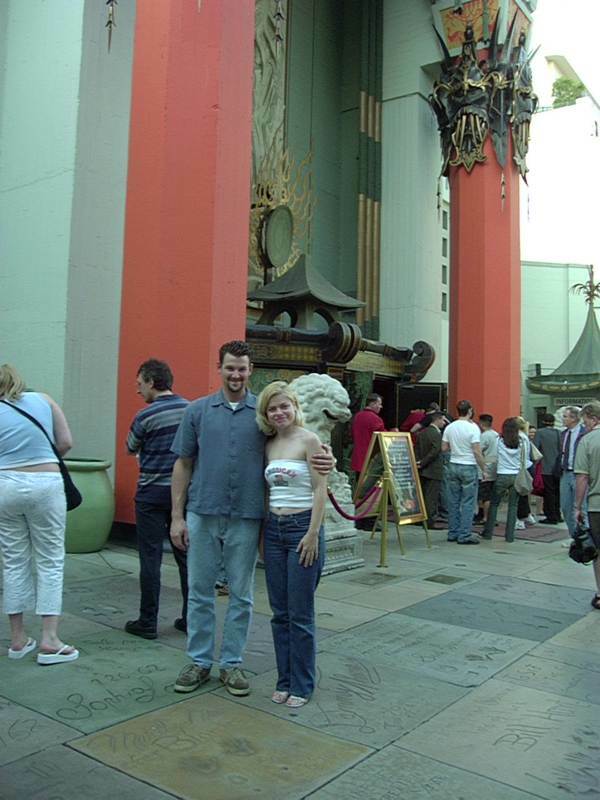 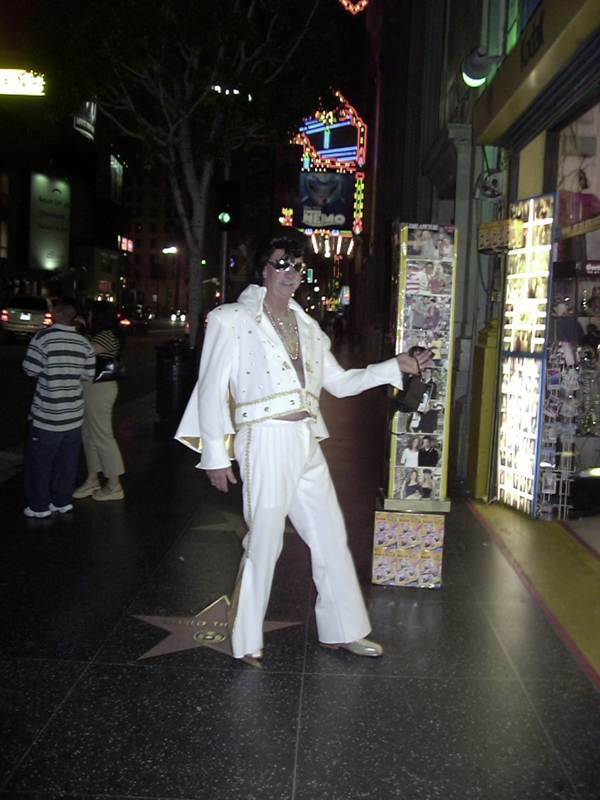 In front of Grauman’s Chinese Theatre we encountered another Elvis, and a Marilyn. 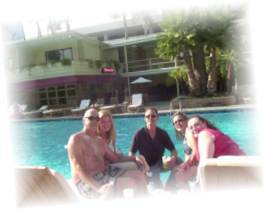 We talked them into doing a photo shoot with us at the Roosevelt. 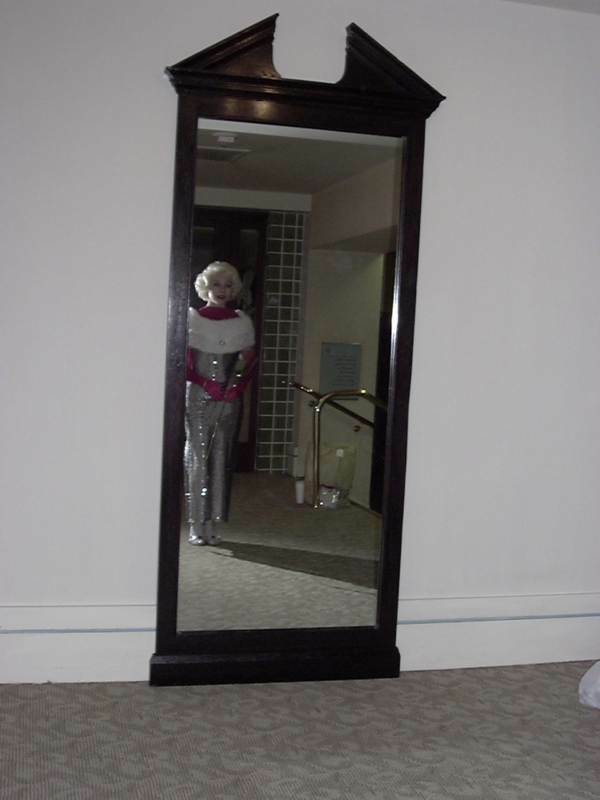 Her name is Jenny. 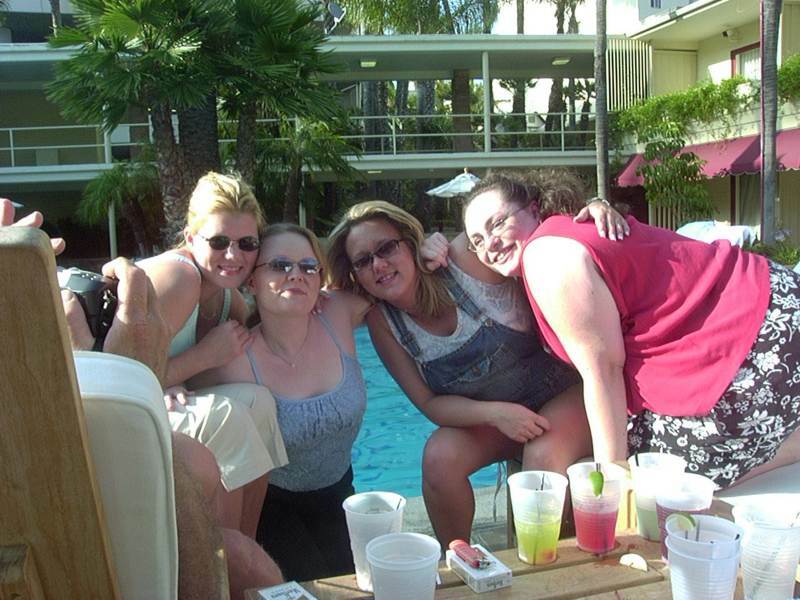 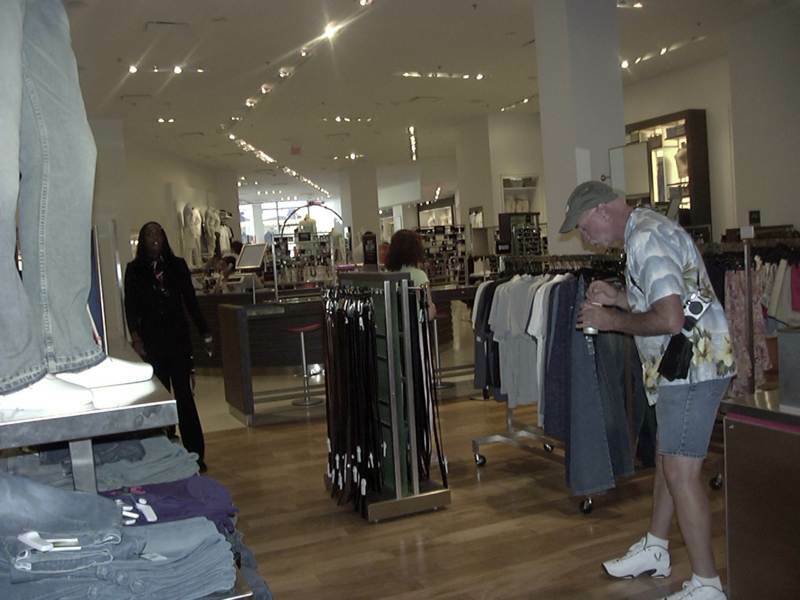 Click here for the next page, with pics from Las Vegas, and more NJ2MM club news.